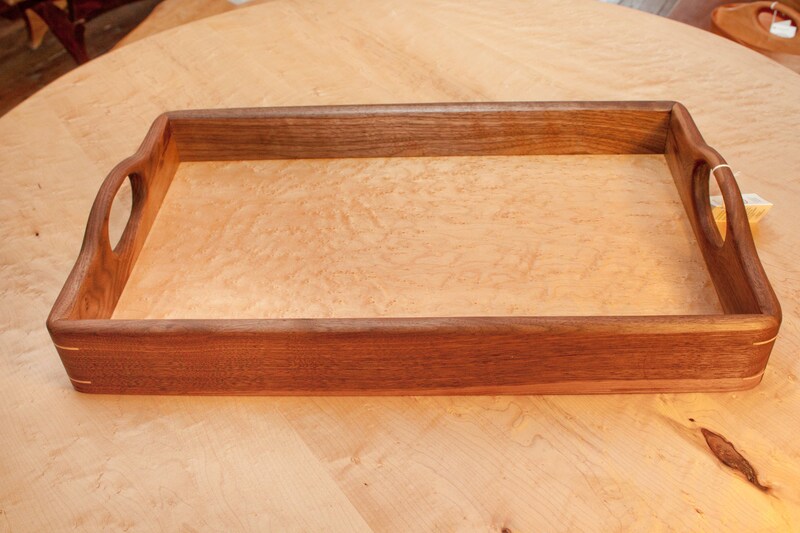 We make these beautiful trays out of Birdseye Maple on the bottom/inside of the tray with Cherry or Black Walnut for the sides. Outside dimensions are 20.5" by 14.5". Custom trays may also be ordered. 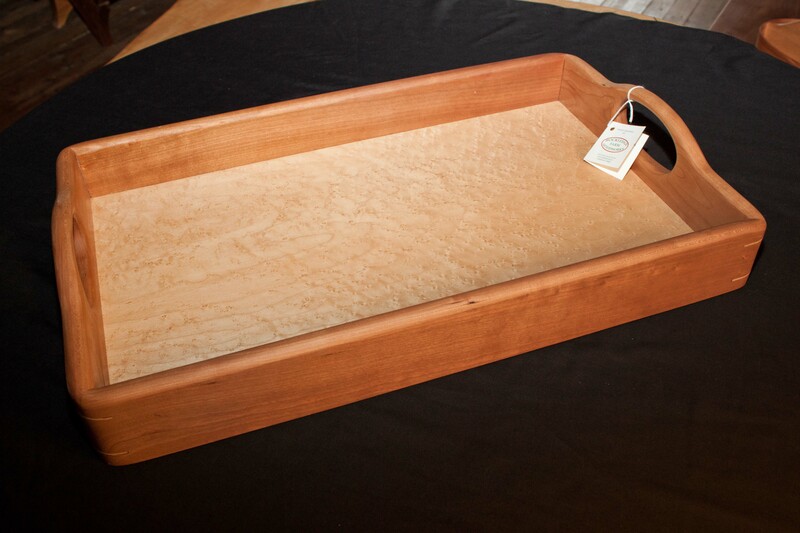 Please call or email us if you would like a custom made tray!